Home » The city’s new Official Plan has been adopted (6-1), so what happens now? The city’s new Official Plan has been adopted (6-1), so what happens now? The city’s new Official Plan has been adopted 6-1 (I did not support), so what happens now? Region of Halton staff have 210 days (plus 90 if needed) to approve our OP, starting from May 11 when the city sent the plan forward. A new council can amend our own plan, before or after approval, and send those amendments to the Region for incorporation into the new plan. In fact we’ll have to amend the new OP to include all the plans that weren’t ready when the plan was adopted, including GO station mobility hub plans, potential Waterfront Hotel redevelopment, and Old Lakeshore Road plans, to name a few. There is no penalty for exceeding the timeframe for approval. Below is additional information from the Region’s Commissioner of Legislative and Planning Services regarding the approval process. I’ll be meeting with Regional staff and suggesting they allow a new council to have an opportunity to review the Official Plan and send changes forward before Regional approval. There is no penalty exceeding the 210 plus 90 day time frame, which extends to about February. Changes can also be made by a new council after Regional approval by way of amendments. In fact the new council will have to send amendments, before or after Regional approval, because parts of the plan aren’t ready now. So why not wait and allow a new council to make further amendments based on considerable community input seeking scaled back plans for established neighbourhoods and the downtown, where up to 30 highrises are included in the plan, and 12-17 storey buildings are permitted in most areas east of Brant. Currently, 4-8 storeys is allowed, which provides for reasonable development not overintensification. There is no need to overintensifiy, we are meeting or exceeding our growth targets without it; there is every reason not to overintensify: traffic congestion, insufficient parking, loss of retail, escalating land values, sun shadowing, loss of heritage/small town character and more. The public consultation for the Burlington Official Plan; including special meetings of council, statutory public meetings and open houses must occur prior to Burlington Council’s adoption of their Plan. The City of Burlington is required to submit to the Region affidavits or sworn declarations that state that the procedural requirements of the Planning Act have been met in passing their Official Plan. The Region is the approval authority for the Burlington Official Plan. The Plan will be reviewed to ensure that it complies with the Provincial Policy Statement, the Provincial Growth Plan for the Greater Golden Horseshoe, the Provincial Greenbelt Plan, the Regional Official Plan and the Niagara Escarpment Plan. 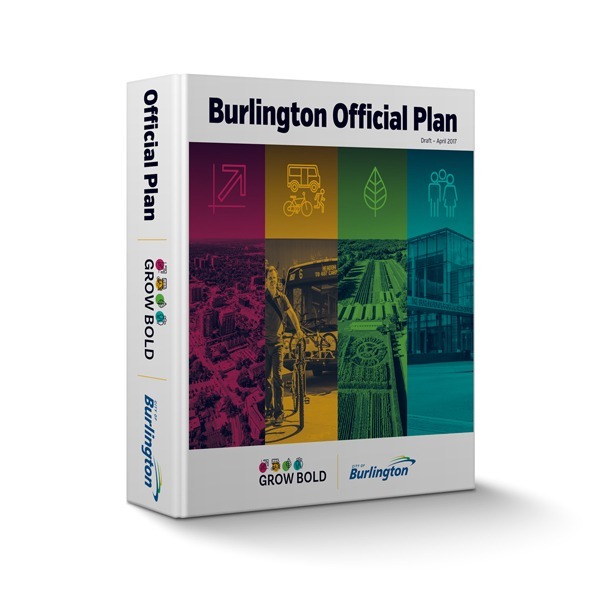 The Region received the adopted Burlington Official Plan for review on May 11th. The Region has 210 calendar days to review and make a decision regarding the Burlington Official Plan and can, if necessary to complete the review, extend that timeframe for an additional 90 days. 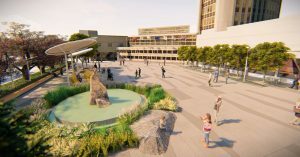 The Region’s Chief Planning Official has delegated authority from Regional Council to approve local Official Plans that conform with Provincial and Regional policies. If the Plan does not conform, and the City of Burlington does not approve the required changes, then Regional Council will make the final decision on the Burlington Official Plan. 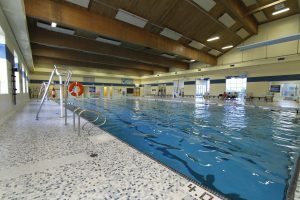 Once a decision is made regarding the Official Plan, notice will be provided to each person that has made a written request to be notified of the decision. Once the Region’s decision has been made, anyone who before the plan was adopted made oral submissions at a public meeting or written submissions to the council, may appeal to the Local Planning Appeal Tribunal (LPAT). The appeal must be based on inconsistencies with the Provincial Policy Statements, Provincial Plans or the Regional Official Plan. There is no penalty for exceeding the timeframes. I look forward to you being our next Mayor and you will have my vote—but—the operating plan is just a waste of time which can be, and will be, overridden by the O.M.B. and developers. Definitely need a new Council !!! Why the rush with the Official Plan – amendments definitely needed here as well. Rick and the current council is ruining the downtown. It is not happening on Lakeshore Rd in Oakville. We need to elect all new people. And Wynne will be gone too, so let’s start over. Third parties can’t apply for amendments to the Official Plan for two years. The city can choose to amend our own OP, and in fact we’ll have to amend it, to add GO station mobility hub plans (ready in 2019) and other sections that weren’t ready when council adopted the plan. Come on folks let make sure there is a “NEW” Council after the next municipal election to review & make the changes the citizens want. Time to clean house!